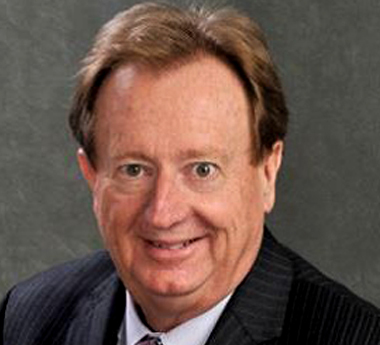 Tony Baldridge, retired partner of Edward Jones, was responsible for delivering significant business value leveraging technology to enhance relationships for clients and Financial Advisors. Tony Baldridge, retired partner of Edward Jones, was responsible for delivering significant business value leveraging technology to enhance relationships for clients and Financial Advisors. He holds an Executive MBA from the prestigious Olin School of Business, Washington University as well as a Series 7 license in the financial industry. He was part of the launch team establishing the Edward Jones UK division. His responsibilities have taken him to many countries around the world. He has served on Edward Jones' Compensation Committee, Home-based Associate Committee and the Disaster Recovery Committee to ensure business continuity for the firm. Tony became a founding member of the Edward Jones Inclusion Council where he served since its inception. He was nominated and named Inclusion Ambassador recognizing his contributions to the firm's core strategy to attract and retain a diverse work force, clientele and leadership team. Tony serves on the Regional Business Council College Mentor Network which helps connect St. Louis brightest students from regional business and engineering schools with the region's top executives and companies. He is a founding member and has served on the board of directors of St. Louis Family Enrichment, a not-for-profit organization offering development courses to aid families in child rearing. Known for developing leaders for over 20 years, Tony has been sought out to provide wisdom, direction and advice to associates for leadership roles as team leaders to department leaders and to directors in the firm. He has led numerous Regional meetings and Award trips. A certified National Career Specialist for the NCDA, the National Career Development Association, he provides ample expertise to help people succeed wherever they are in their career. As Senior Executive Consultant his expertise will be used to develop growth and business strategy and provide Executive Presence development for potential leaders and senior executives. To be successful you don't need to do extraordinary things, you just need to do ordinary things extraordinarily well.